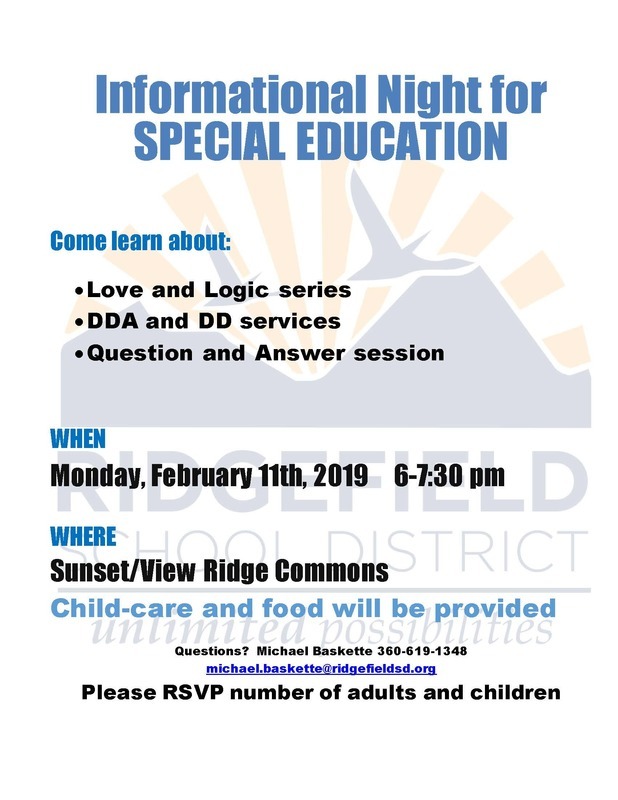 Families are invited to an Informational Night offered by Ridgefield’s Special Education Department on Monday, February 11, 6:00 – 7:30 pm at Sunset Ridge/View Ridge Commons. Come learn parenting skills and techniques provided by the Love and Logic series and learn about the services provided by the Department of Disabilities Administration (DDA). A Question and Answer session is also included. Please RSVP the number of adults and children attending to Michael Baskette at michael.baskette@ridgefieldsd.org.